HOME HAS BEEN COMPLETELY REMODELED! Open and inviting home has new Kitchen, screened Front Porch, enclosed back Porch, a new privacy fence in the back yard and decorative aluminum fencing in the front yard. New roof to be installed. 3 Bedrooms 2 Baths and 1, 188 square feet of living space. Updated Kitchen is light, roomy and open to the Great Room with vaulted ceiling. Wood look vinyl flooring throughout main living. Master Bedroom with walk in closet has Master Bath with tub/shower. 2 Guest Bedrooms share a Guest Bath. Indoor Laundry offers cabinets for storage. Fenced backyard is perfect spot for grilling out and gathering by the firepit. 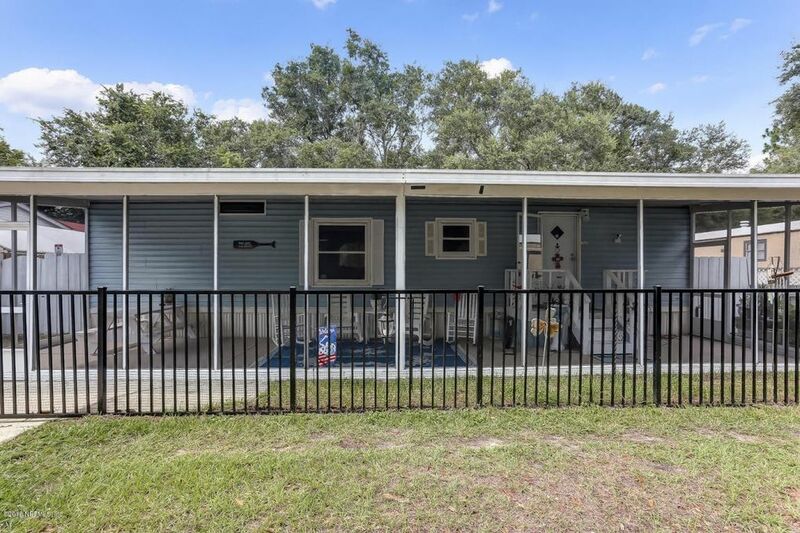 Front & back porches provide plenty of space to relax and enjoy Florida living. Community pool is a short walk. Love where you live! Directions: From Interstate I95 East on Phillips Highway, North on Timberwood, Northwest on Merrywood, House will be to the right on the stop sign opposite side of the road.